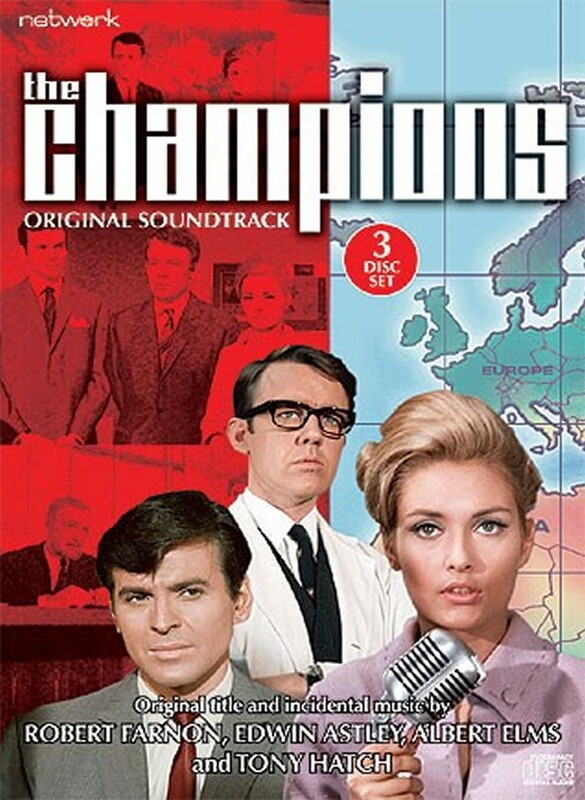 Never previously released and compiled from the original master tapes, this three-CD set comprises the varied themes and incidental scores for The Champions, containing around 200 pieces of music which were specially composed for the series. Three composers with different styles offer tunes and melodies which take the Nemesis super-humans across the world into fresh adventures. Starting with an operation amidst Chinese research laboratories, after which the trio become lost in the mountain peaks of Tibet, their later missions take them to an island in the Pacific with a deadly secret, across the North Sea to the continent trailing a nuclear submarine, from London to Rotterdam in pursuit of stolen gold, to the Spanish estate of a dictator and a mysterious country house in England for a series of bizarre experiments... plus additional forays to the Caribbean and the deserts of Australia and Africa. Including extensive liner notes from archive television historian Andrew Pixley, this set is an essential purchase for all ITC aficionados.